Tremosine sul Garda is located in a scenic position on the western shore of Lake Garda, in the Province of Brescia. It is 10 kilometers away from Limone sul Garda, 77 kilometers from the city of Brescia, the provincial capital, and 177 km from Milan. 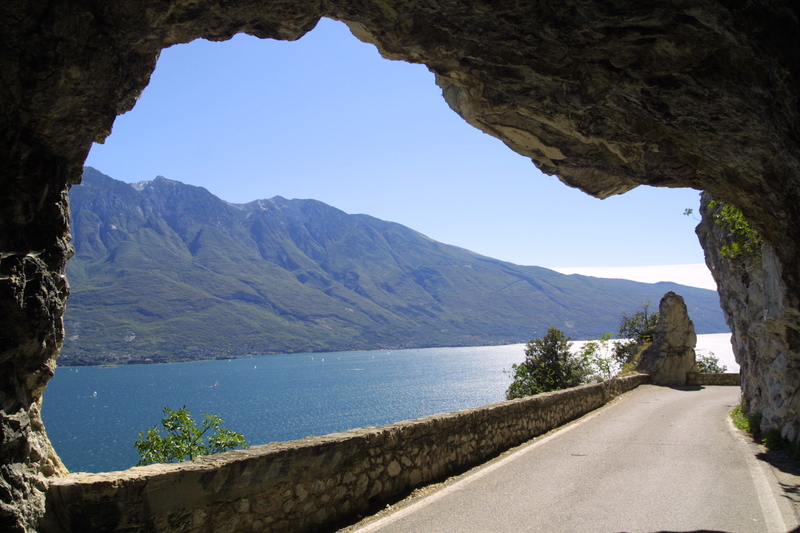 You can reach Tremosine sul Garda by car, motorbike or public transport, including plane, train, and bus. S.P. 38 - The scenic road, the famous Strada della Forra, one of the most beautiful roads in the world. This route includes a series of bends and one-way sections, regulated by traffic lights. S.P. 115 - The provincial road, wider and more comfortable than the previous one, although with considerable inclines, leading to Voltino, Vesio, Pieve. The closest train stations to Tremosine are Rovereto (TN) and Desenzano (BS). From the latter, take the SIA bus to Limone sul Garda/Gargnano, and continue to Tremosine sul Garda. Verona-Villafranca and Bergamo-Orio al Serio. Linate and Malpensa airports are also not very far. Transfer services from Catullo airports in Verona and Orio al Serio in Bergamo offer special rates to the members of the Consorzio GardaLombardia.